Every since I was a child I have been fascinated by our solar system. My father always took us saltwater fishing at Matagorda bay as a child. At night I would sleep on a cot with a mosquito net over me and stare at the stars. The great thing about the ocean is that it is off the grid and since there are not the distractions of the city lights you can really see the vast spectrum of the sky and the stars and it is awesome. I remember how excited I got the first time I saw a shooting star. The last time I was in Hawaii my friend Blase took me way up the mountain to the observatory that is a top secret government facility. My entire life I have always imagined that there must be other life forms out there. I think about it all the time. On my first CD I even wrote a song about it and I have read everything from “Communion” by Whitley Streiber to just about about everything I could get my hands on about the supposed crash of UFO in Roswell, New Mexico. Those of you that know me, know that I am not shy and will ask anyone, anywhere, anything. You have to keep in mind how much what she says is true, you wouldn’t believe all the crazy random stuff she saw in the 7 years we were together. I could write a book on that alone. Anyway that’s the set up to something awesome that occurred to me on Father’s Day this year. I was at Outback steakhouse here in Denton and I saw a dear friend and his girlfriend. They were there taking her Father out for Father’s Day. It was cute he was a tall distinguished gentlemen that seemed to be in his 70’s and his wife was adorable. My friend introduced me to her Father and I asked him what he did. He mentioned to me that he was retired. I asked him what from. I said in a very pointed tone so he would know that I was not joking, “OK, I have always wanted to ask someone with your stature and credentials. What is going with UFO’s and specifically what happened in Roswell? I said because as I child I have always wondered and I think there has to be something to all of this. He told me about his friend Robert L. Hastings who wrote a book entitled “UFO’s and Nukes. He said you should read this book, I feel you will find it very interesting. I gave him my card. Much to my surprise he e-mailed me later that evening with a link to Robert’s site and also later to let me that Robert was going to be on Larry King on Friday, July 3rd for an interview about his book. I bought the book and I read it and it is astounding and very well researched with over 80 retired and former air force veterans personnel interviewed. The implications of this are major and to think that since we started testing nuclear weapons in the mid 40’s, UFO sightings have increased massively. One of the reason that the U.S. Government has attempted to conceal its real but secret assessment of UFOs relates to it’s unwillingness to admit that unknown observers, piloting enormously superior aerial craft, have been systematically monitoring-and occasionally tampering with -our nuclear weapons. As incredible as this may seem to UFO skeptics, it is nevertheless based on persuasive, documented data. Hundreds of declassified U.S. Government documents, many of them reluctantly released to researchers via the Freedom of Information Act, clearly establish a UFO-Nukes connection. 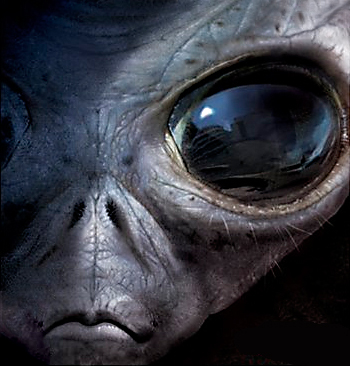 Everyone knows about the reported discovery of a crashed alien spaceship near Roswell, New Mexico, in July of 1947. However most people are unaware that, at the time of the incident, Roswell Army airfield was home to the worlds only atomic bomber squadron, the 509th Bomb Group. Was this merely a coincidence? You see how the quality of your life is influenced by the quality of your questions? I have always said in my lifetime I will get to the bottom of this and I will find out about life on other planets and I will. It is amazing and like the above it is “wyrrd” that so many people are asleep and awake on this planet and believe everything they read or are told in the media. How they let other people especially their government and the 4 P’s again. Politicians, Parents, Priest and Professors think for them. BTW, I finished the vocals to “Let it Go” at the studio today. Tuesday, I will knock out the last track and then off to LA to get it all mastered.